Since I haven’t shared anything on Jonah or the Septuagint lately, I thought I might post a bit of what I have been working on in LXX Jonah. Why should Jonah call out to his god? The independent clause, introduced by אולי, expresses the captain’s hopeful, though uncertain, belief that Jonah’s god might deliver them from the storm. The clause is transformed into a subordinate clause of purpose by the LXX translator’s use of ὅπως. Throughout the Septuagint corpus, ὅπως is used to translate אולי four times (Amos 5:15; Jonah 1:6; Zephaniah 2:3; Ezekiel 12:3). In each instance some form of the Lord’s judgment is in view, and those under his judgment are exhorted to act in some way in order to escape judgment. The use of the subjunctive (διασώσῃ) combined with ὅπως is a close approximation of the hopeful, though uncertain, sense of אולי. The overall construction, however, slightly alters the structure of the Hebrew text by subordinating a clause that was otherwise independent in the Hebrew text. The verb עשת, “to think,” is a hapaxlegomena in the Hebrew Bible. Hapaxlegomena are notoriously difficult to translate both for the modern and ancient readers. 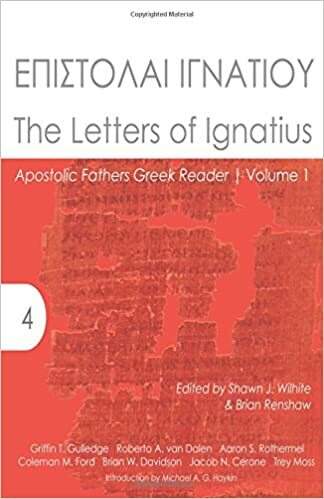 This may account for the Greek translator’s selection of the Greek verb διασῴζω, “to save.” While this is a likely option, the Vulgate provides a closer approximation to the Hebrew with recogitet. The witness of the Vulgate is evidence that the meaning of the Hebrew word was not unknown in the ancient world. It is, therefore, more likely that the LXX translator has provided his readers with a contextually sensitive and straightforward rendering of the word. Instead of conceiving of God as “giving a thought” to the sailors, he is called upon in order to “save” the sailors. Since the verb עשת is intransitive, it takes the prepositional phrase לנו to complete the sense of the clause. The Greek translator’s selection of διασῴζω, however, is transitive. This shift dictates that the translator renders לנו with ἡμᾶς instead of ἡμῖν. The final change in this section involves the translation of the verb נאבד. The Greek translator continues the sense purpose created in the previous clause (ὅπως + subjunctive) by translating the Hebrew yiqtol verb with a subjunctive. The verb, though, is not active, as it is in the MT, but passive. The shift from the active to the passive voice displays the translator’s acute awareness of the context on. Despite everything that the sailors have done and can do, their fate is not in their hands; it is in the hands of God himself. Codex Alexandrinus provides two unique readings in Jonah 1:6fg. The first is in 1:6f where εἴ πως occurs in place of ὅπως. The second is the addition of οὐ in 1:6g. Instead of reading “καὶ μὴ ἀπολώμεθα,” Alexandrinus reads “καὶ οὐ μὴ ἀπολώμεθα.” Used six times in the LXX as a translation for אולי, εἴ πως provides a closer approximation to the idea inherent in the Hebrew adverb. The thrust of the construction focuses on the hopeful, though uncertain, nuance present in אולי. In this construction, the particle εἴ introduces the protasis of a conditional clause and “ἐπικαλοῦ τὸν θεόν σου” functions as the apodosis producing this translation: “If by any means God might save us … , then call upon your God.” The second change, the addition of οὐ, strengthens the negative construction μή + subjunctive producing on of the strongest means of negating a clause in the Greek language. Taken together, both of these changes in codex Alexandrinus strengthen the overall desperation of the sailors. They know that they fate is in a god’s hands. They will try anything and everything in order to escape certain death. Phyllis Trible, “Biblical Studies of Jonah,” 21. This entry was posted in Greek, Hebrew, Jonah, LXX, Old Testament Studies. Bookmark the permalink. Thanks John! I have a copy of 8HevXII and will be using for comparison with Alexandrinus, Sinaiticus, and Vaticanus where it’s not fragmentary. I really wish it was complete. I love this kind of detailed exegesis! The verb עשת, “to think,” is a hapaxlegomena in the Hebrew Bible. You mean hapaxlegomenon (singular). You correctly use the plural in your next sentence. Sorry to be so pedantic but this is an easy mistake to make!